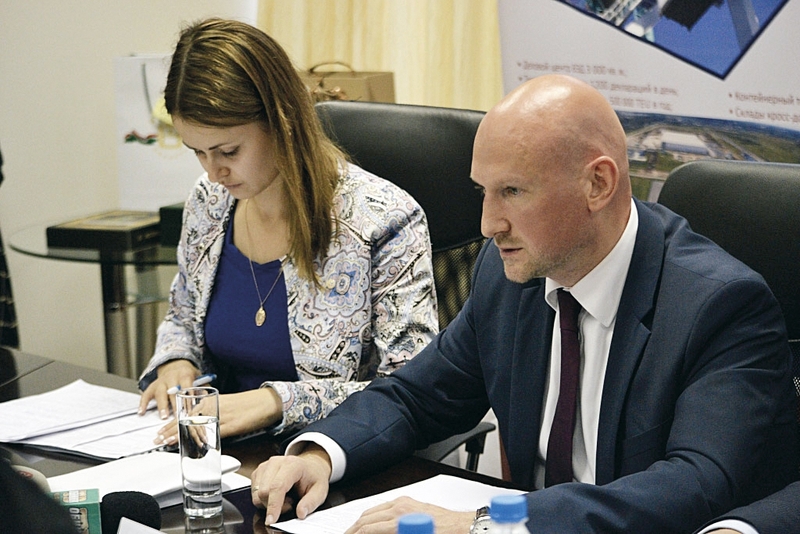 A meeting to discuss the development of New Silk Road project was held in Vorsino industrial park (Kaluga Region) in the territory of Vorsino Freight Village multimodal transport and logistics facility on August 31, 2016 The meeting was attended by Vladimir Popov, Deputy Governor, Kaluga Region, Dmitry Razumovsky, the Minister for Economic Development, Li Guanpen, President, SINOTRANS, as well as RZhD Logistika AO, Industrialnaya Logistika AO, and Transkonteiner PAO representatives. 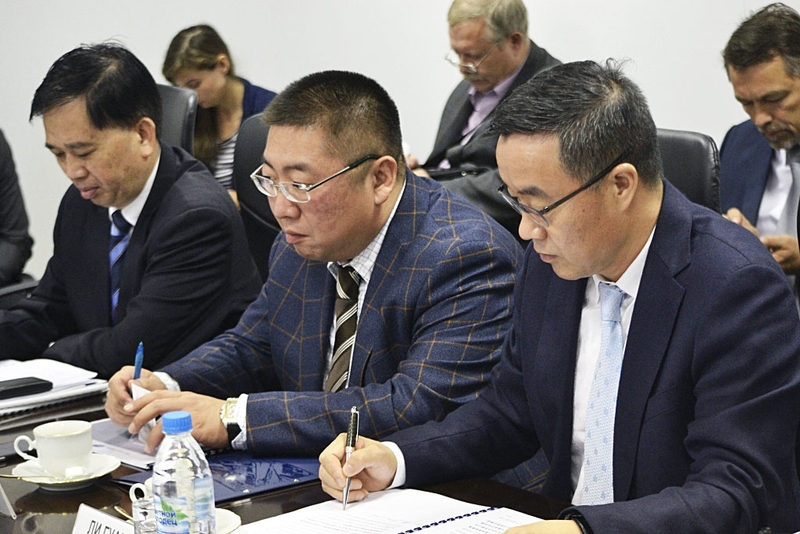 The attendees discussed future development of New Silk Road logistics project. For instance, they spoke of the necessity to create preconditions for setting up regular container train route from cargo consolidation points to export Russian goods to China. 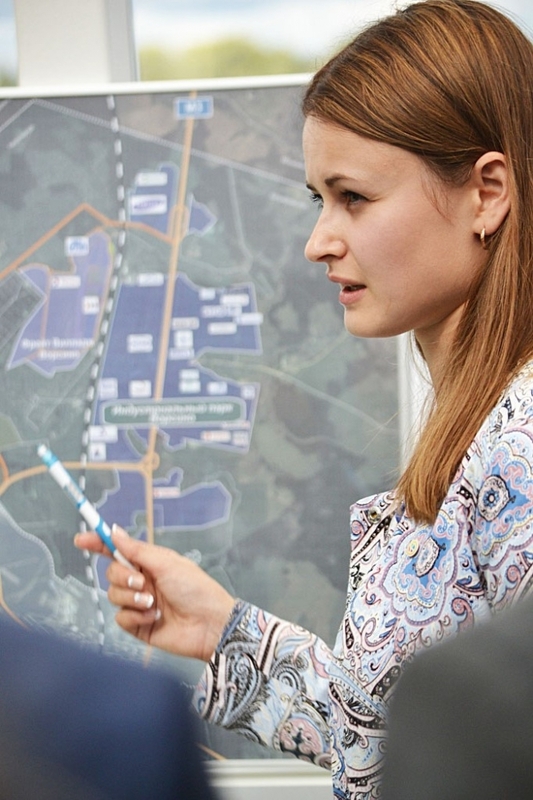 Apart from that, the attendees discussed the current cargo traffic, setting up regular train routes and the provision of logistics services to Kaluga Region companies. 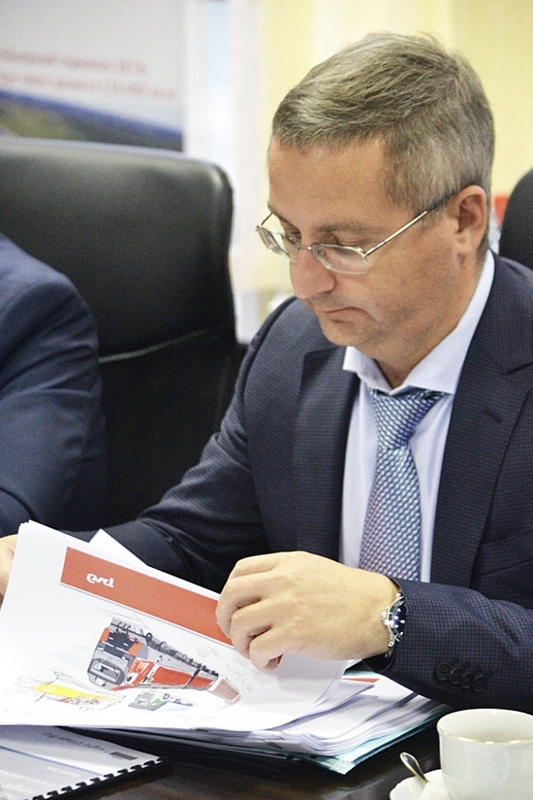 Vladimir Popov thanked SINOTRANS management for the attention it pays to Kaluga Region. A number of cooperation agreements have been signed between Kaluga Region and China. 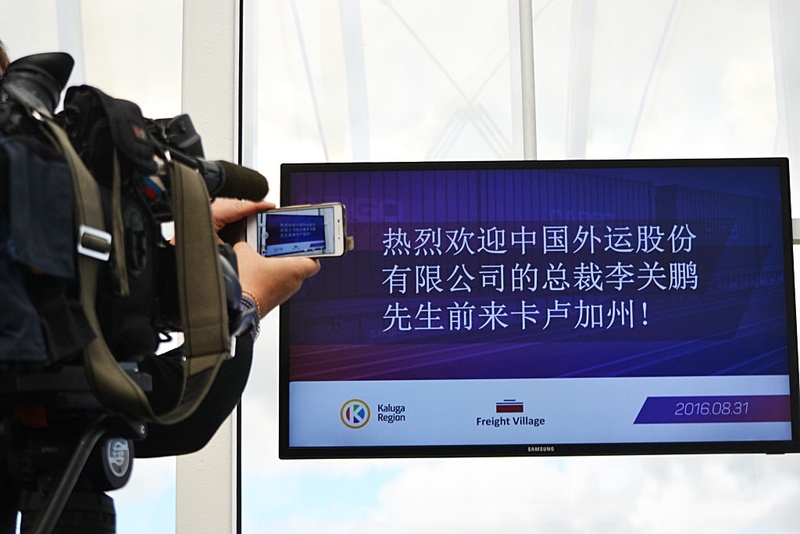 Vladimir Popov said: “Opening of hi-tech industrial facilities of Chinese companies in Kaluga region is one of the results of our joint work. We also efficiently cooperate in export and import fields. New Silk Way is a good example of such cooperation. It is one of the fastest overland routes connecting major Chinese cargo ports and Eastern Europe”. 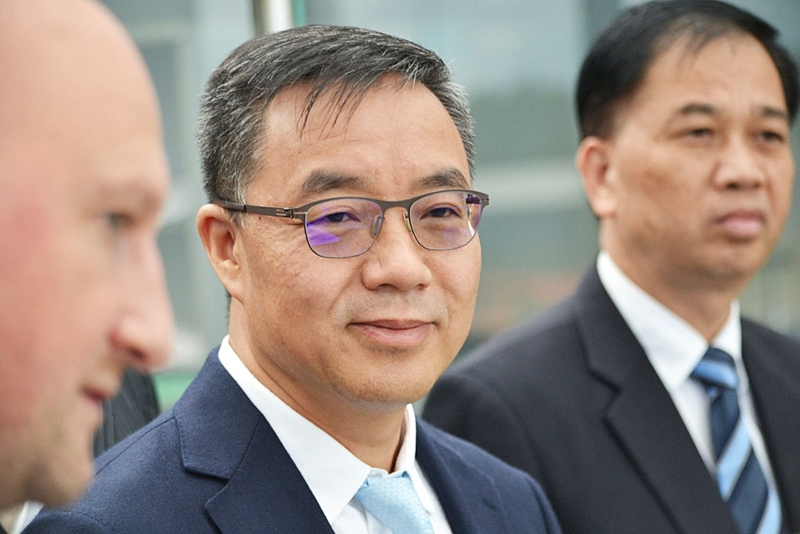 Li Guanpen in his turn noted that the development of an efficient transport and logistics infrastructure is the correct decision of Kaluga Region government. He said: “We are ready to build a transport hub. It is important to ensure the balance between export and import operations and to determine the volume of cargo traffic to China”. The first container train under New Silk Road project departed on January 27 and arrived to Vorsino on February 7. It took 9 days and 5 hours to travel over 7,500 km. Thanks to the project the time required to transport cargos from China to Central Russia and further to Europe, and, correspondingly, the time for transportation of goods from Europe to China and Asian countries was reduced by three times. The new logistics corridor is less costly as compared to the vast majority of alternative options. On January 27, 2016 an agreement on establishment Dalyan-Kaluga corridor was signed between Dalyan Group and Kaluga Region government. The parties agreed to create favorable conditions for provision of logistical services to ensure investment cooperation and to promote trade. The document was signed by Alexey Laptev, First Deputy Governor, KalugaRregion, and Huei Kai, Deputy Chairman of the Board, Dalyan Group.